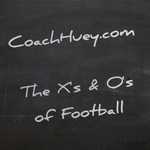 The purpose of this site is to allow coaches to exchange information and ideas about coaching football. With that in mind we strongly encourage you to post videos that show your scheme, plays, drills, anything that can be helpful. Individual highlight videos do not meet that criterion. They serve no instructional purpose. Please do not post such videos on this board. Thank you.